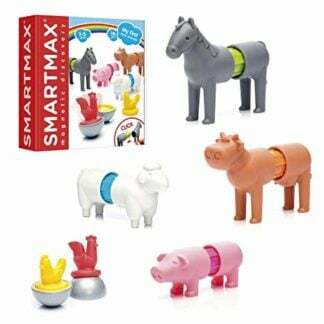 Smartmax My First Animal Train is full of fun and charming characters. 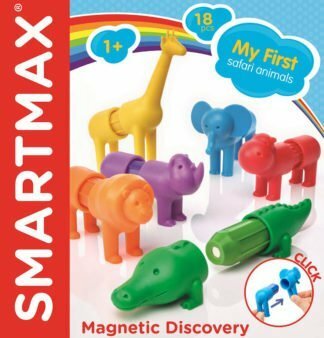 The Smartmax range of magnetic toys has been so well developed. 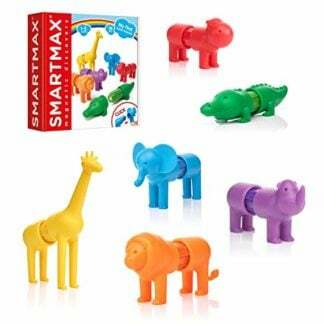 The magnetic bars are the basis for each of the shapes they will build – strong magnets in chunky colourful plastic that will attract and repell to make a great connection. 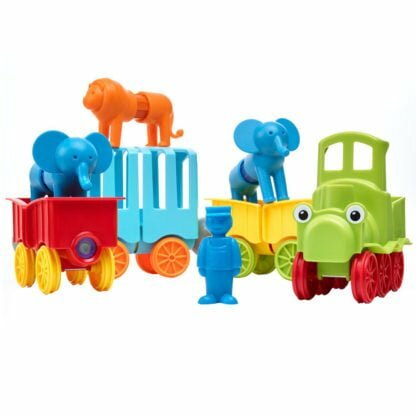 This pack contains 4 large and 3 small bars, 3 metal balls, 3 animal heads, 3 animal tails, 8 pieces of train and a driver to keep it all under control. 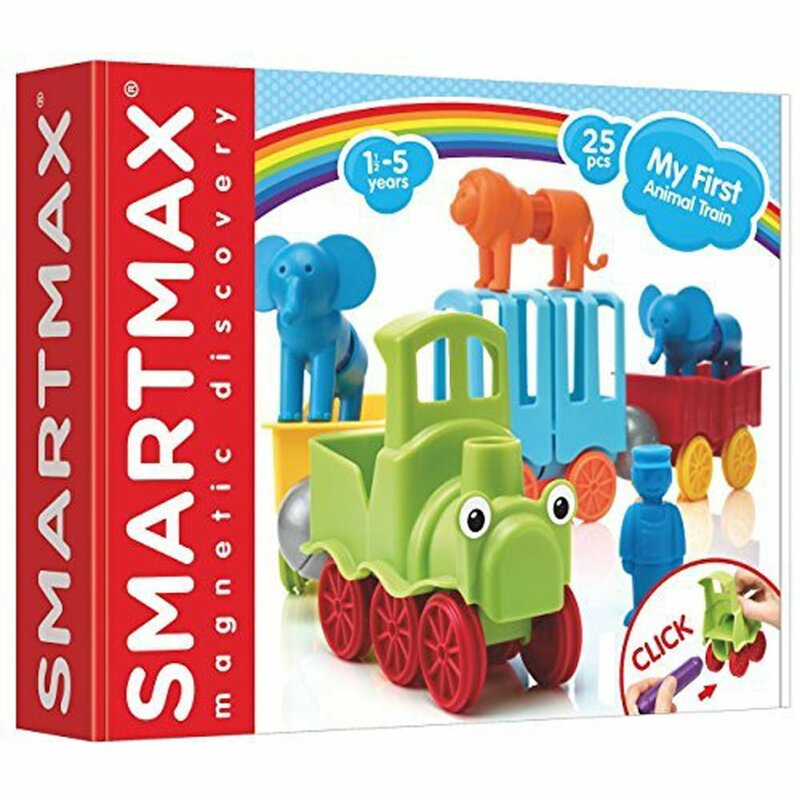 This is a great way to explore magnets, shapes and get excited about the train arriving! We loved the animal shapes – so tactile. A big box will a huge amount of play value – great fun.